. : December 03, 2013 :. It's pork, it's fatty and it's delicious. And did I mention how easy it is to make this? Fred's mom made this dish and we both liked it, so I browsed for the recipe online. Looking at the recipe, I was quite apprehensive about using the cinnamon stick and star anise as the ingredients. I've never cooked with them before and they seem to be for an advanced cook. Nevertheless, I followed the recipe and glad it tasted delish. I only used two star anises though instead of three and used a rather small cinnamon stick so the dish won't smell as strong. And since I didn't have dried cloves, I left out those as well. You can look for the recipe here. Who doesn't love a super simple recipe for a tasty meal? For the past few months, I've been fixing our dinner after work so really, a simple and quick recipe is a life saver. This menchi katsu (meaning minced meat katsu) is adapted from Harumi Kurihara's tsukune (meatball) recipe. I love cooking Japanese food and Fred is also a big fan of 日本料理. Well, here's a recipe for gyoza adapted from Harumi Kurihara's cooking book. 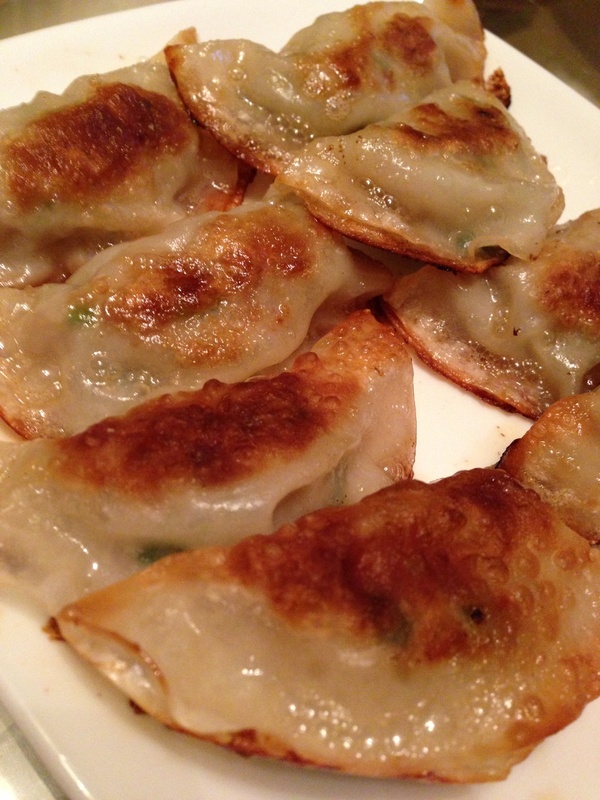 Gyoza is a side dish normally ordered together with ramen. So easy to make, I usually make gyoza in a huge batch, put them in freezer and fry some for bento (lunch box). Mix shrimp with ground pork, add the sake, salt, sugar, pepper, ginger, chicken stock, chives and sesame oil. Add the starch into the mixture. Put roughly one tablespoon of the meat mixture into the center of the gyoza skin and fold.